Shopping for Spirograph Creative Toys? 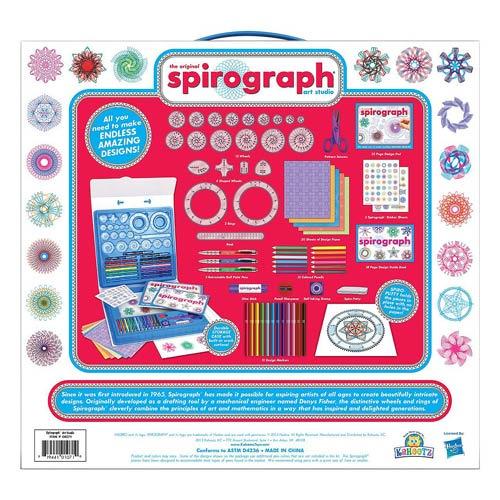 The original Spirograph Art Studio Set is the ultimate spiro-art design set! Featuring all the wheels and gears of the original, this set also includes an expanded collection of artist supplies like colored pencils, stickers, pattern scissors, craft paper, and more! Comes in a durable storage case measuring 15-inches x 14-inches. Ages 8 and up.